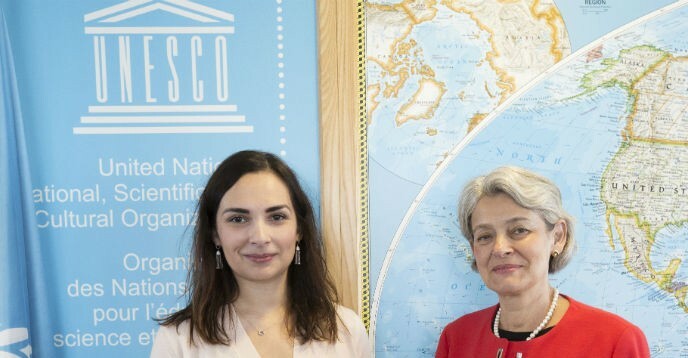 On 4 August, at UNESCO Headquarters, the UNESCO Director-General, Ms Irina Bokova, met Ms Yana Barinova, Director of the Babi Yar Holocaust Memorial Centre. This was an opportunity for Ms Barinova to present the initiative behind the Babi Yar Holocaust Memorial Centre, launched in 2015, to pay tribute to the victims, to research the history of the Holocaust in the former Soviet Union and Eastern Europe, and to celebrate cultural dialogue and the values of human rights and democracy. The Supervisory Board of the Centre comprises national and international personalities, including Yaakov Dov Bleich, Chief Rabbi of Kiev and Ukraine; Joschka Fischer, former Foreign Minister and Vice Chancellor of Germany; Alexander Kwasniewski, former President of Poland; Joe Lieberman, former U.S. senator from Connecticut; Victor Pinchuk, businessman; Natan Sharansky, Chairman of the Jewish Agency for Israel; and Volodymyr Klitschko, former heavyweight boxer world champion, politician and UNESCO Champion for Sport. The Director-General congratulated Ms Barinova on the spirit and goals guiding the Babi Yar Holocaust Memorial Center. She said that remembering and sharing widely the history of the Babi Yar mass shootings of September 1941 is essential, underlining that the massacre stands as one of the most atrocious episodes of the Holocaust and of the Second World War. “I believe that it is vital today for a place of commemoration and education to ensure that the legacy of the victims is not forgotten,” said Irina Bokova. The Director-General presented the wide range of UNESCO’s work in this field, notably to advance Holocaust education –- a unique programme in the United Nations system — to never forget and to fight antisemitism, racism and discrimination today. In this light, she said UNESCO has created University Chairs in Holocaust education at Krakow University and University of Aix-Marseille, on Genocide Prevention at Rutgers University, as well as the UNESCO Chair on Genocide Education, at the University of Southern California. These goals underpin all of UNESCO’s work to support Member States in educating about the history of the Holocaust, and about the causes, dynamics and consequences of atrocity crimes. In particular, UNESCO’s work focuses on supporting education systems, along with memorials and museums. 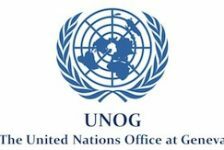 In this spirit, the Director-General looked forward to further exploring on how UNESCO can support the realization of the Babi Yar Holocaust Memorial Center, in line with UNESCO values and priorities.